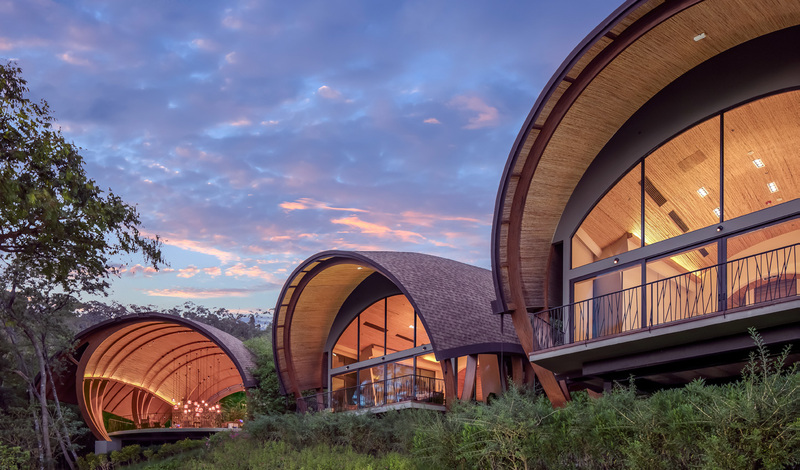 Whether you have come for a tropical retreat, the wildlife, or the surf—get a true taste of the Costa Rican ‘pure life’ at Andaz Costa Rica Resort, an eco-chic haven nestled on the dreamy Peninsula Papagayo, where the sand sparkles and the waves beckon. 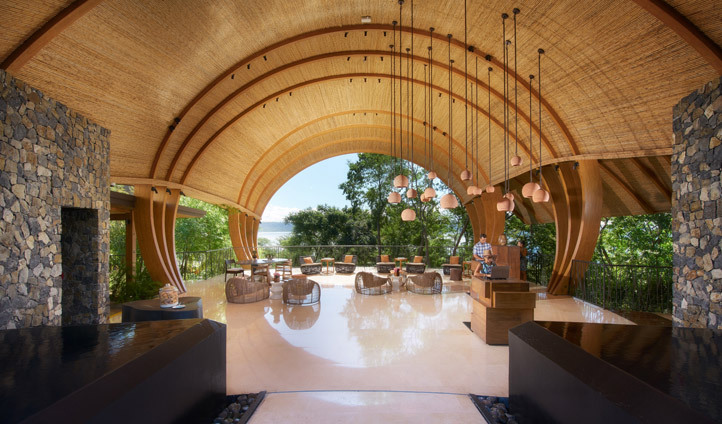 Majestic green mountains and pristine beaches lapped by sapphire seas—the Peninsula Papagayo has all the requisite good looks of a tropical paradise, making the Andaz the perfect base to explore the very best of Costa Rica’s natural riches. Each day you can take your pick of adventures—from traversing over cloud forests or hiking wildlife-rich mountainsides to riding the legendary surf—knowing that you’ll have a trendy bolthole and pampering spa to return to. If you can tear yourself away from your lux eco-abode that is. Inside the Andaz is a masterclass in modern eco-cool. Costa Rican architect Ronald Zürcher crafted the interiors to channel the laid-back native lifestyle—albeit a chic, design-filled version—and rooms come complete with walk-in rain showers, carved wooden touches and balconies sporting tropical views over Culebra Bay. Elsewhere, the breezy, cocoon-like interiors are an Insta-lover’s dream. A stunning location, a designer finish plus a sumptuous Onda spa—this is one eye-wateringly stylish Costa Rican retreat. But aesthetics aside, it also caught our eye for its cultural creds. Yes, you can escape to a private beach or just watch monkeys gambol from the pool, but you can also sign-up to a mixology class at the Chao Pescao bar, or support the community and visit a local farm or school. This isn’t just a chic place to unwind; it’s the perfect base to immerse yourself in Costa Rican life.